Many members of the LBT went to the Amnesty fund raiser at the Palais on Sunday night, which featured the film 'The Merger', about the Boggy Creek Football Club the Roosters. 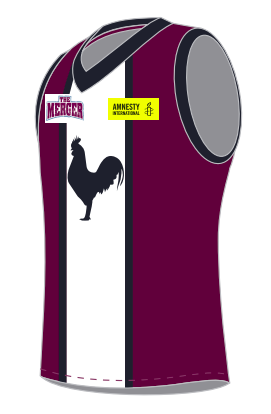 Zainab Clark, who was the principle organiser for the event tell us that those who missed out on a Roosters footy jumper can order one at https://amnestyinternationalshop.com/products/jersey . She also wants to thank the Palais team and various others who made the whole thing possible - you know who you are.